I could tell you that value-based care is the future, but that would be a misstatement. Value-based care is now. Manufacturers, payers, and providers want to improve patient health while mitigating skyrocketing costs. One approach is to fundamentally shift their paradigms to focus on better outcomes and the ability to consistently prove them. It’s all happening rapidly, given the pace at which the healthcare industry historically dares to innovate beyond the conventions of its own red tape. We can see clear evidence of this trend, from the 2017 Partnership Forum on Advancing Value-Based Contracting (VBC), to pioneering population health initiatives like Geisinger Health System’s Medication Therapy Disease Management program. Specialty pharmacies have a growing responsibility to raise the bar. To stay afloat and secure competitive contracts, specialty pharmacies must systematize and crystallize the successful diagnosis, monitoring, and management of complex conditions—all while mastering the daunting task of defining the parameters and guidelines that indicate what “success” actually means for each unique patient. VBCs: The Payment Model of the Future? Many industry experts see value-based contracts as a way to address drug prices and overall spending, while ensuring that patients are receiving optimal care. These contracts aim to structure payment based on meeting specific goals within predetermined patient populations. In an effort to encourage widespread use, a forum was held in Arlington, Virginia, in June 2017 to address some of the major obstacles facing VBCs. VBCs have a long way to go, but focused discussions and action-oriented strategies are bringing them closer to mainstream use—and pharmacy stakeholders should be ready for this massive business transformation. Health systems and pharmacies are spearheading their own innovations to usher in the age of value-based care. Geisinger’s Medication Therapy Disease Management (MTDM) programis an outstanding example of how treatment providers can make major strides in reducing costs and improving care on individual and population levels. For more than 20 years, Geisinger has nurtured the program from an anti-coagulation clinic that was run by one pharmacist, into a program in which 54 clinical pharmacists in 49 of Geisinger’s clinics have treated nearly 70,000 patients (as of October 2016). The program uses interprofessional care teams of pharmacists and clinicians who collaborate to manage and optimize medication use. Disease-specific dashboards that deliver comprehensive real-time data capture. The program saw 10% fewer hospitalizations, 10% fewer emergency visits, and 22% lower yearly care costs for arterial fibrillation patients. Likewise, multiple sclerosis patients experienced 28% fewer emergency room visits. For many organizations, accommodating the value-based shift will require more sophisticated technology for keeping track of all the moving parts. TherigyInsights: Ad hoc and advanced reporting to payers, accrediting bodies, and manufacturers, including referral management, accreditation, population management, adherence, interventions reporting and outcomes. 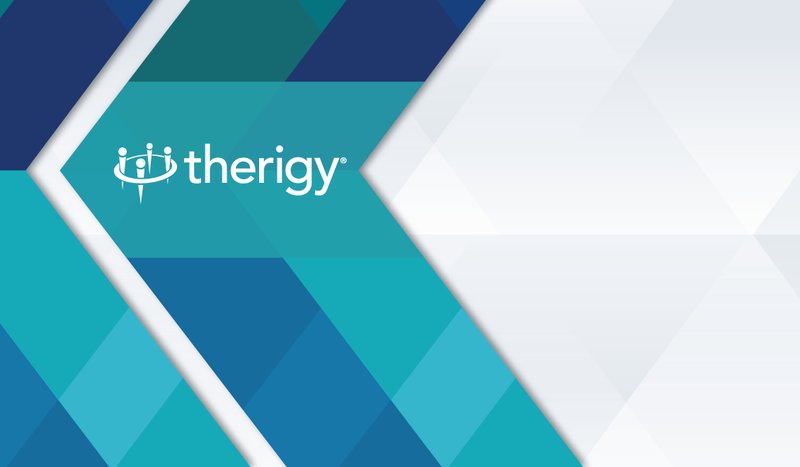 To learn more about how TherigySTM can enable population health and value-based care visit www.therigy.com/stm.